Craig Smith Music offers affordable piano packages throughout the North West. 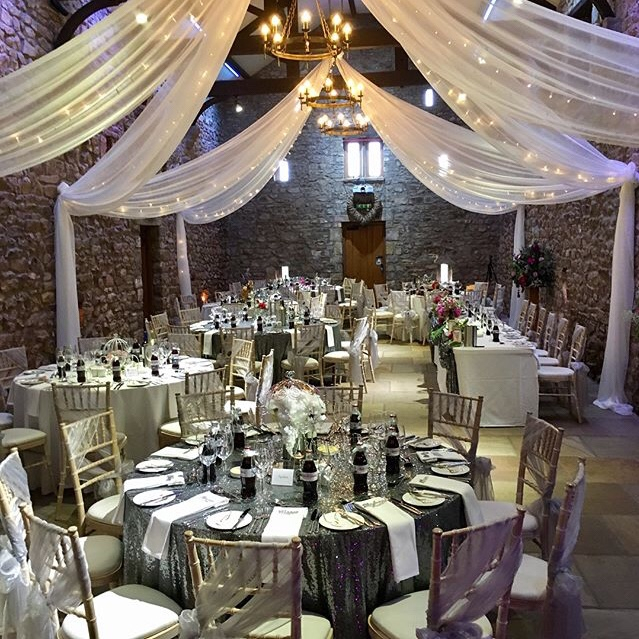 His most regularly booked venues are Ribble Valley wedding venues, with the two most regular being Eaves Hall and Mitton Hall. 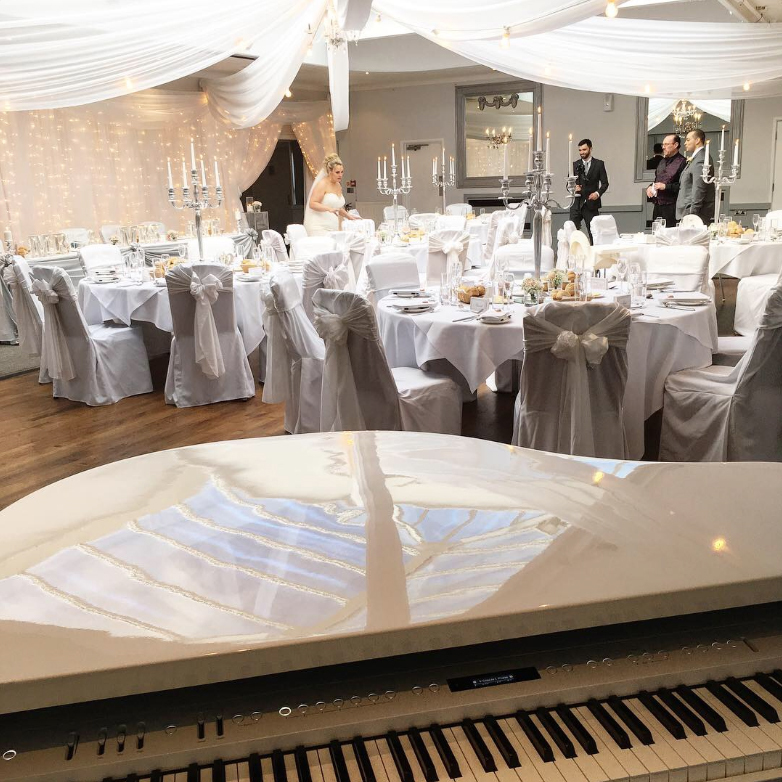 Craig's Ribble Valley wedding piano prices start at just £210 at venues with their own pianos, such as Eaves Hall, Gibbon Bridge and Mytton Fold! Craig plays regularly at Eaves Hall, Mitton Hall and Shireburn Arms, and is also available for Holmes Mill and Falcon Manor. 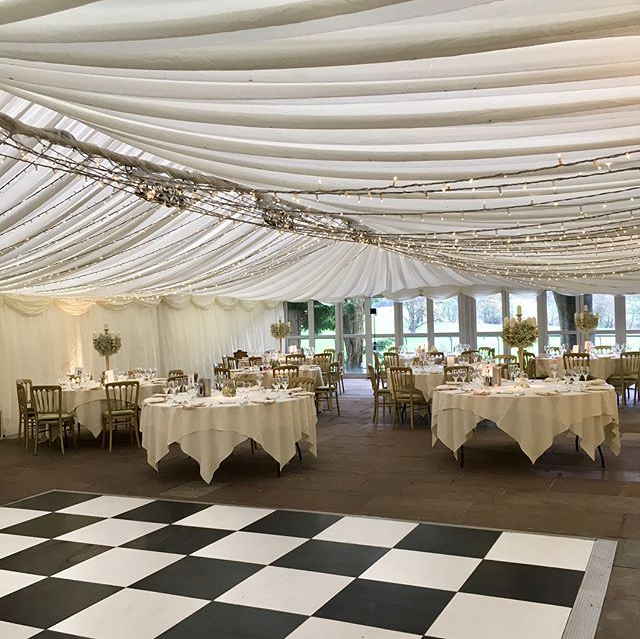 The events team at James' Places book Craig for many of their biggest annual events, such as Christmas Day at Mitton Hall, Mothers Day at Shireburn Arms and their Holmes Mill Gin Festival. Many of the staff at James' Places venues recommend Craig to prospective couples too. 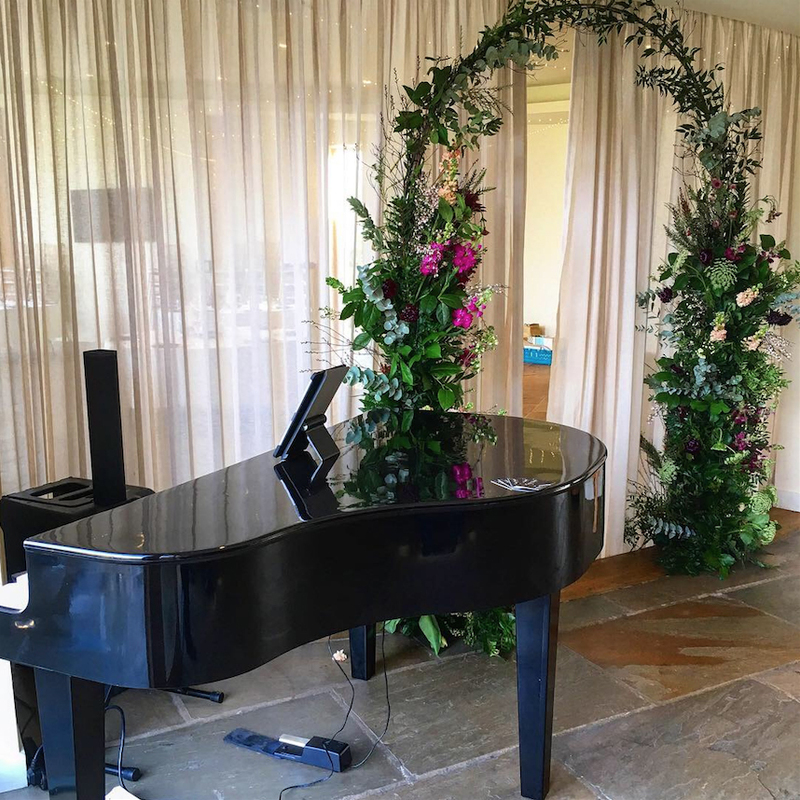 A visit to Craig's Instagram will show you loads of places to position the pianos at these venues, as well as lots of decor inspiration too! A gorgeous exclusive-use country manor with expansive gardens, Eaves Hall is equipped with a grand piano in the entrance foyer, which Craig is often booked to play for arrival drinks. 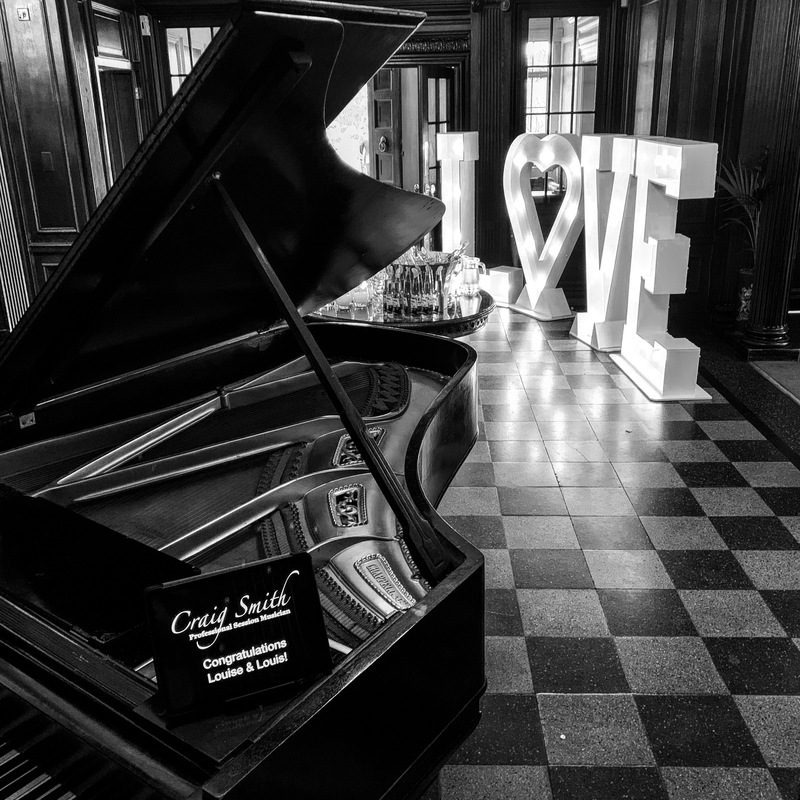 In addition to this piano, Craig also plays in the Ballroom and Dining Room for ceremonies and wedding breakfasts. Usually, couples ask for the white portable baby grand piano for these rooms, and there is also one in gloss black for those who'd prefer it. Craig can also play outside at Eaves Hall, whether it be in the veranda (where outdoor ceremonies are now able to take place), on the gravel forecourt or at the side of the hall by the bowling green. "My favourite place to play!" 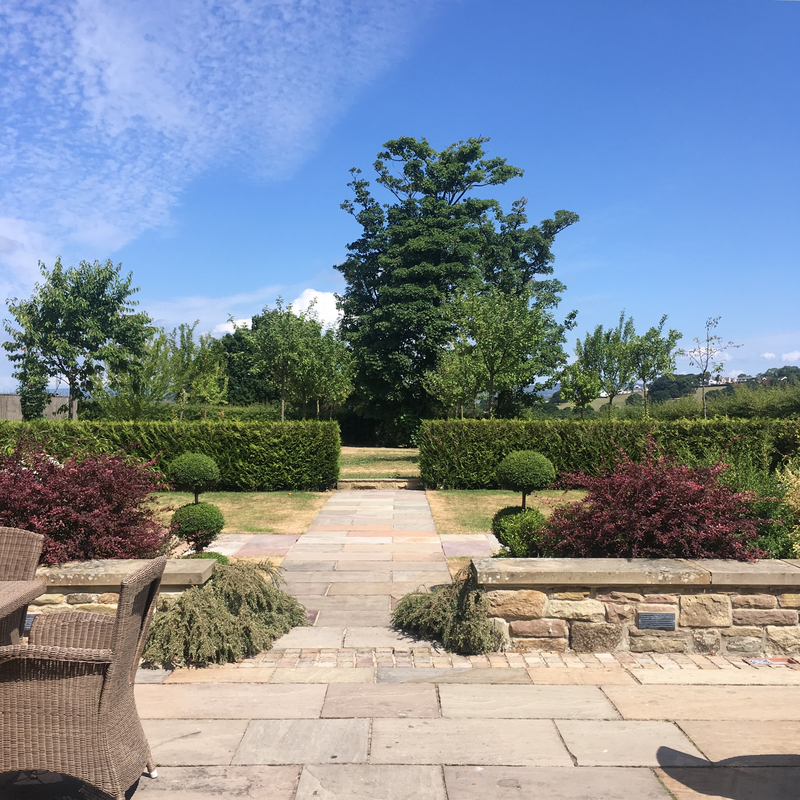 Mitton Hall is a top class country hotel and restaurant with a modern function room with a beautiful orangery, from which you can head outside onto the terrace with views of the River Ribble below. 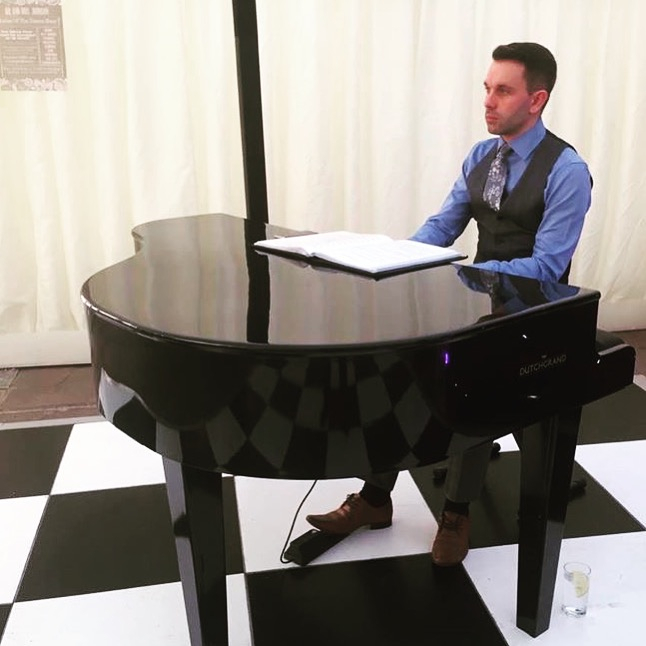 Craig is available to play any part of the day, but at Mitton Hall, ceremony piano and drinks reception piano are the most popular choices (drinks reception being available outside on the terrace). 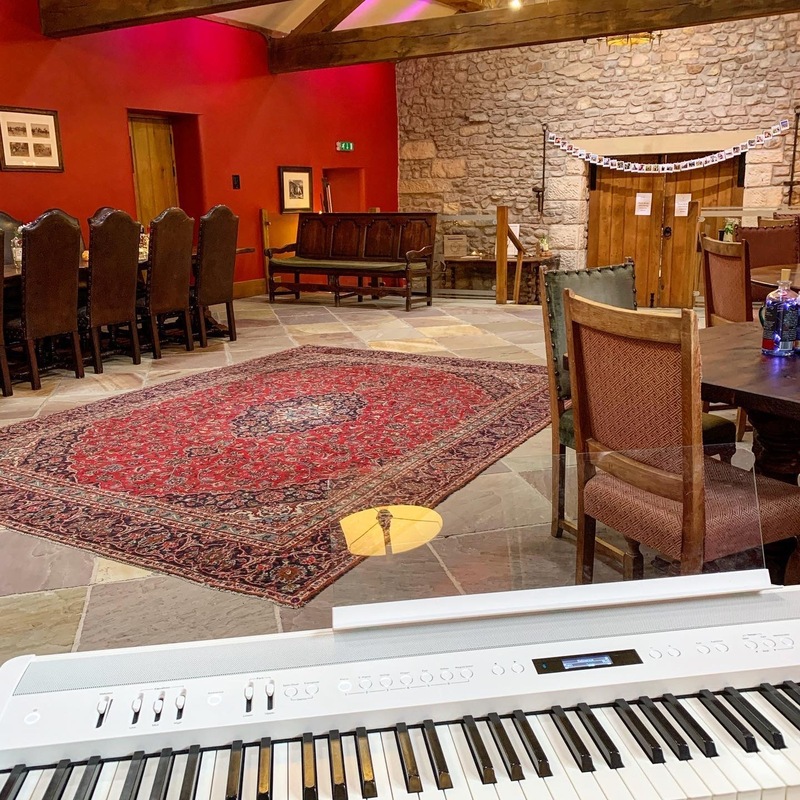 There is the option to book exclusive use of Mitton Hall, and the small baby grand piano in the entrance hall would be suitable to use in this instance. Craig provides the entertainment for Christmas dinner at Mitton Hall - a fantastic afternoon! 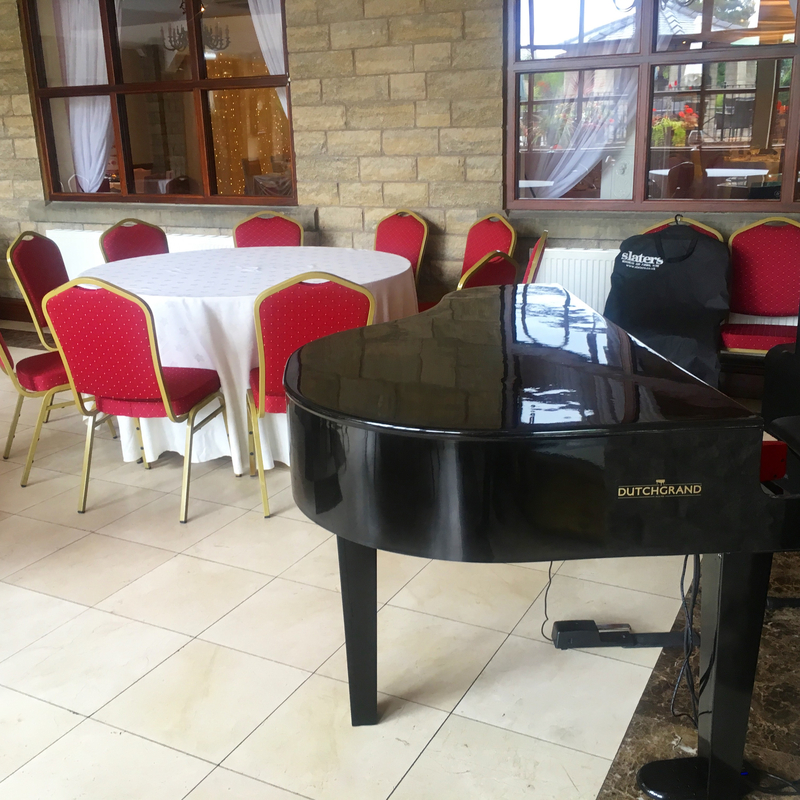 The decor of the function room probably lends itself best to the white portable baby grand piano, but again a gloss black version is available too. The Shireburn Arms is a smaller James' Places venue in Hurst Green, not far from Clitheroe or Longridge. 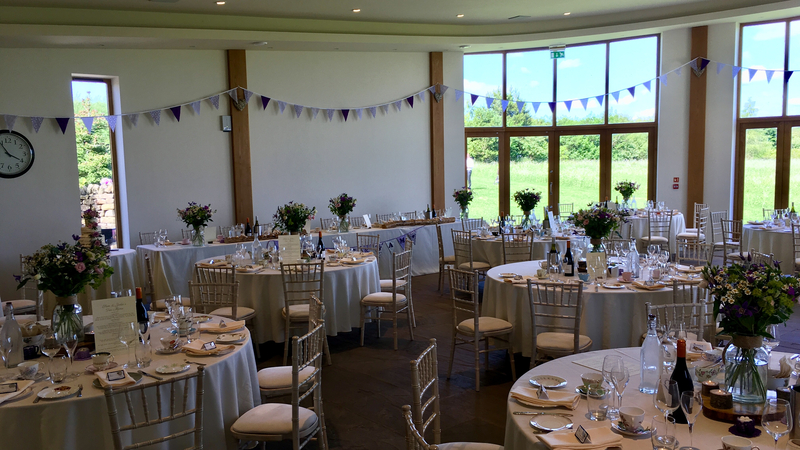 As well as offering a brilliant country pub, the function spaces to the rear of the building are a fantastic setting for weddings with views over open countryside. 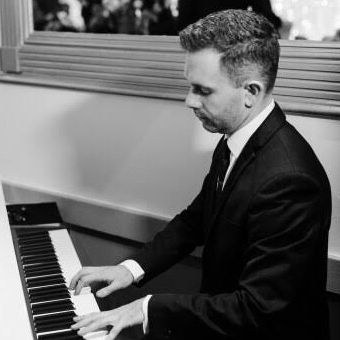 Craig is available to play piano for any part of your Shireburn Arms wedding, with wedding breakfasts and drinks receptions probably marginally more popular, although wedding ceremony music for the Shireburn Arms is an option too. 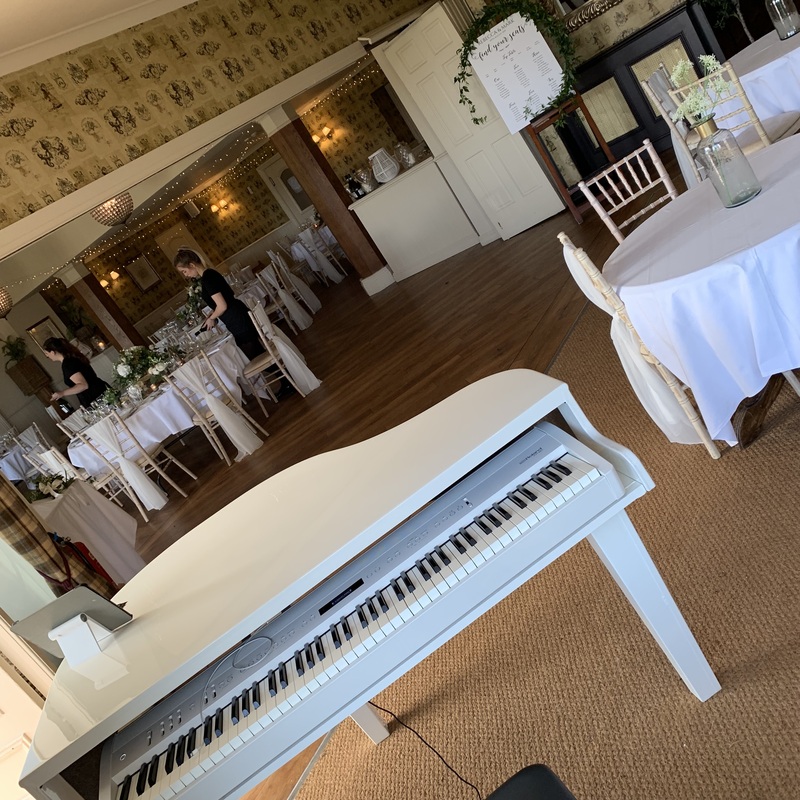 The layout of the room, with a partition to allow it to be turned around without guests having to leave means it lends itself to the piano being set up at the start of the day with no need to move it from room to room. As such, Shireburn Arms is ideal for Craig's Whole Day Package, priced at just £440. 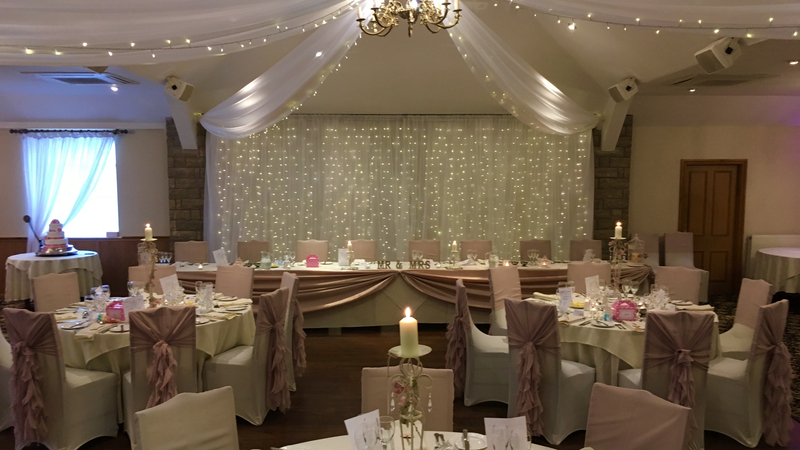 The Foxfields Country Hotel is a family-run hotel situated in Billington, near Langho, Whalley and Clitheroe. 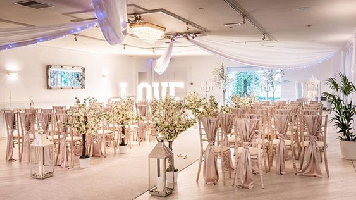 The venue has undergone an extensive and very impressive renovation in recent years, making it one of the most up-to-date and stylish wedding venues in the Ribble Valley. 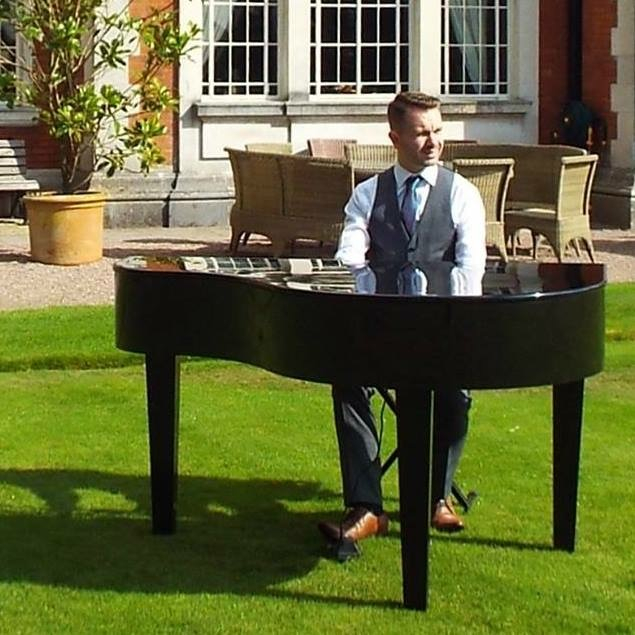 Craig is available to play wedding piano at The Foxfields indoors or out, be it for your ceremony, wedding breakfast or arrival drinks. Craig can provide portable baby grand pianos in gloss black or white. As a recommended supplier (Craig has been booked by the venue's general manager for his own wedding soon, and also plays in the attached Artisan restaurant), Craig is proud to offer exclusive discounted packages to Foxfields brides and grooms, which are available on request or from open days etc. 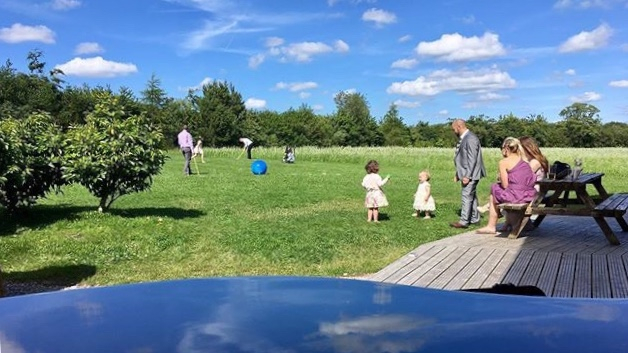 An absolutely brilliant venue, with a ridiculous panoramic view from the round facade of the recently rennovated barn, oudoor decks, fields for miles and even a camping field for guests, The Outbarn really is a unique venue! 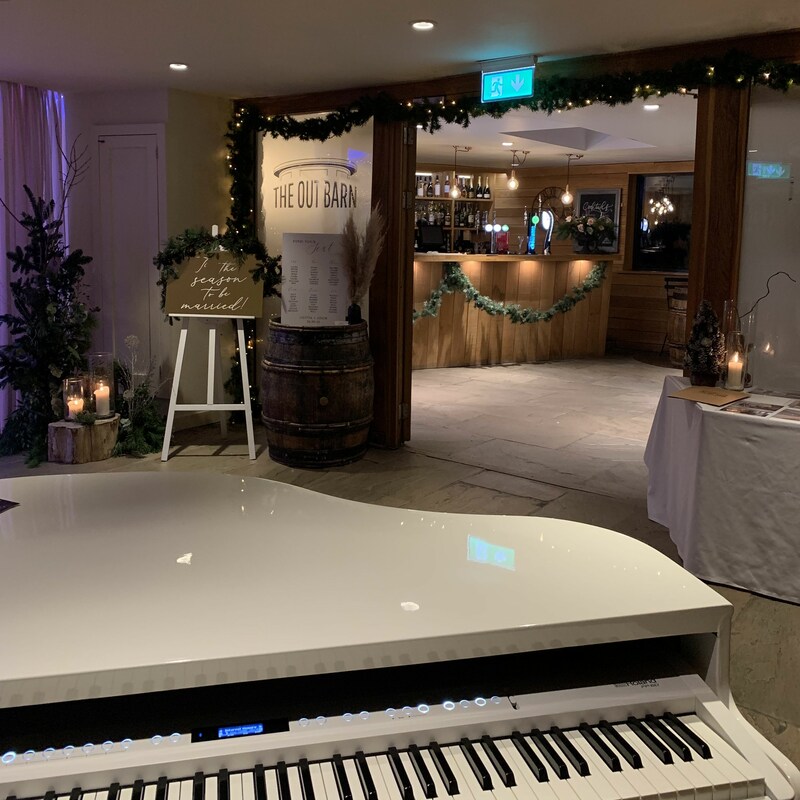 Pianos can be set up inside and/or outside for ceremonies, drinks receptions and wedding breakfasts, and don't forget Craig also works with singers, saxophonists (his most recent Outbarn booking also features John on sax), violin, flute etc. 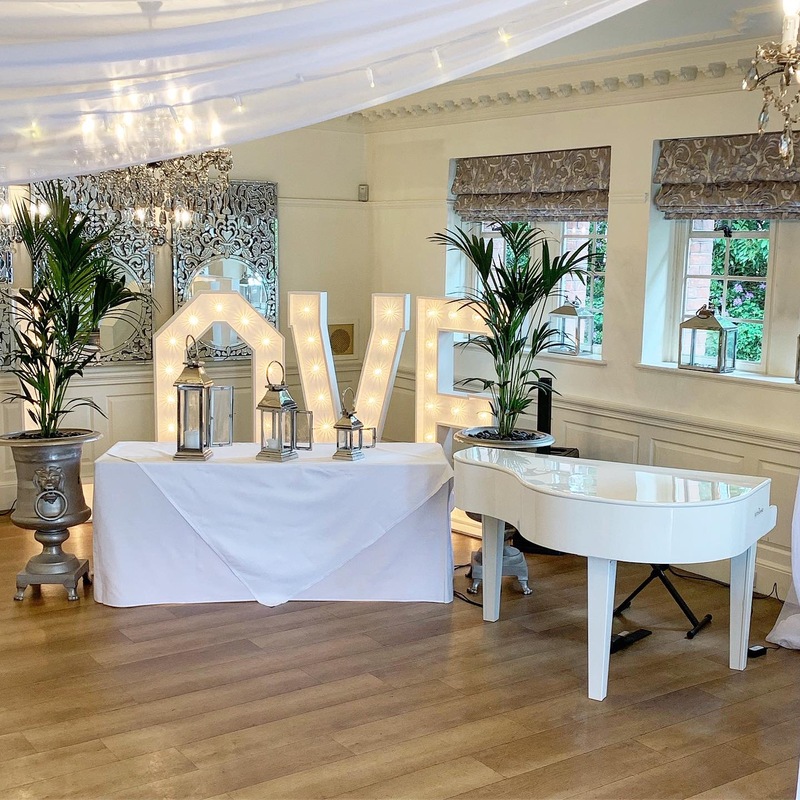 It's an ideal venue for a festival wedding, and that festival feel could be perfect for some Acoustics by Kate live lounge vocal entertainment, with accompaniment on piano and guitar. Craig is a recommended supplier at The Outbarn. You will find him playing at many of The Outbarn's open days/nights and other events and an exclusive discounted set of packages is available from Ruth at the venue or by contacting Craig. 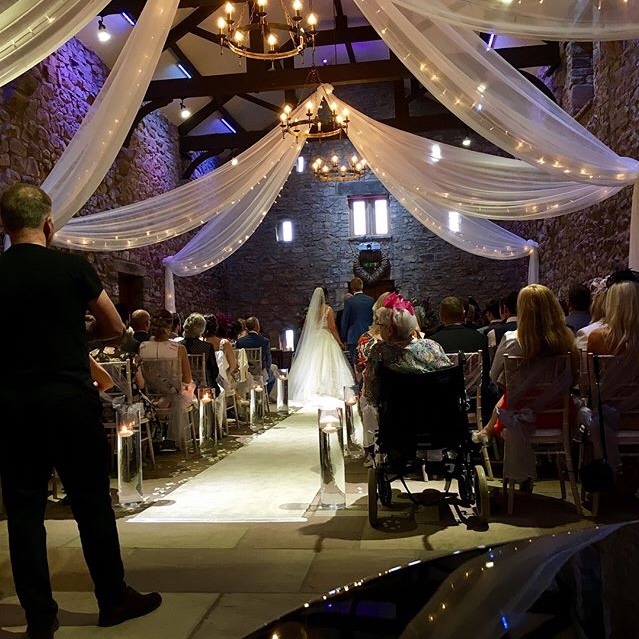 Another of Craig's favourite venues to play wedding piano is Browsholme Hall Tithe Barn. Craig is available to play piano in the barn, or in the more modern bar area, and also outside. 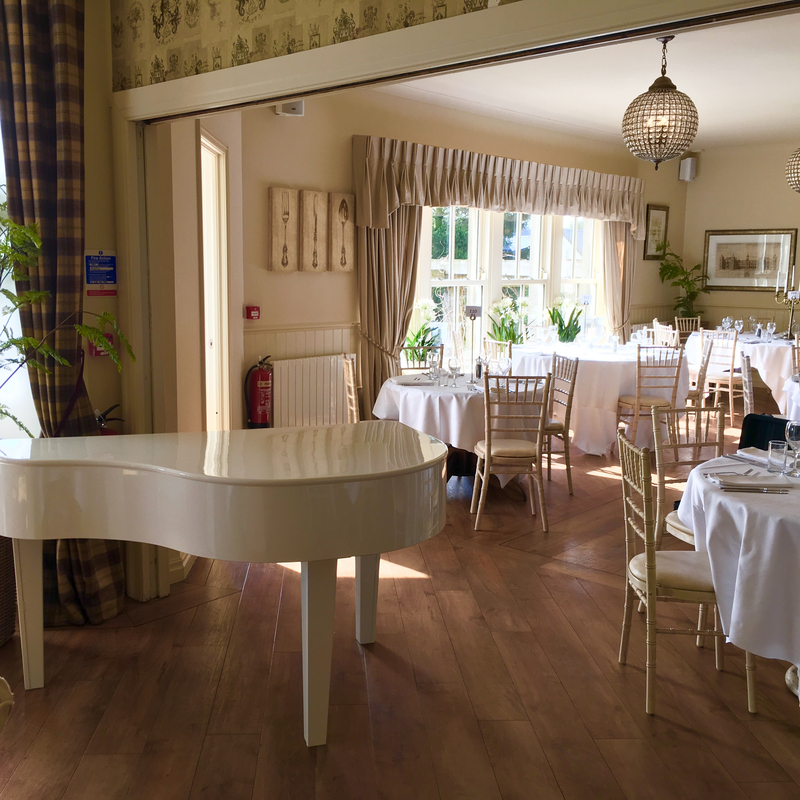 Couples often book a whole day package at Browsholme Hall, with two pianos, one set up in the barn and one in the bar. 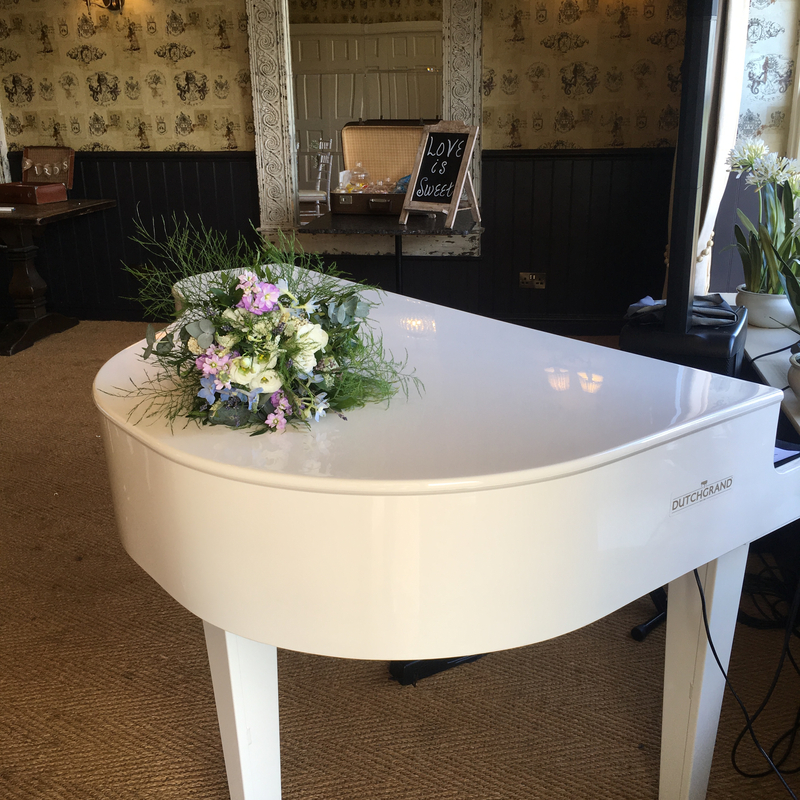 Portable baby grand pianos, or real ones, can both be supplied and really complement the antique feel to the barn itself, and the bar area tends to better suit a more modern-looking electric piano. 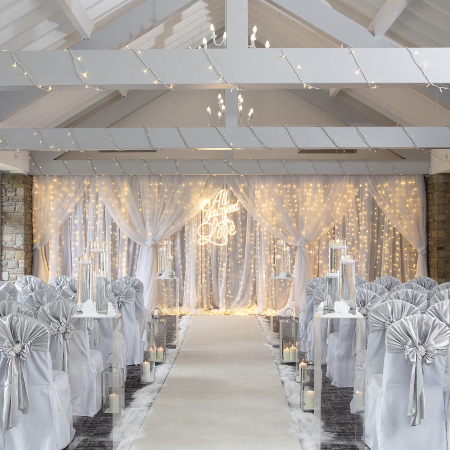 Ferrari's Country House weddings take place in a traditional, family-run, Lancashire country hotel situated close to Preston, between Longridge and Chipping. 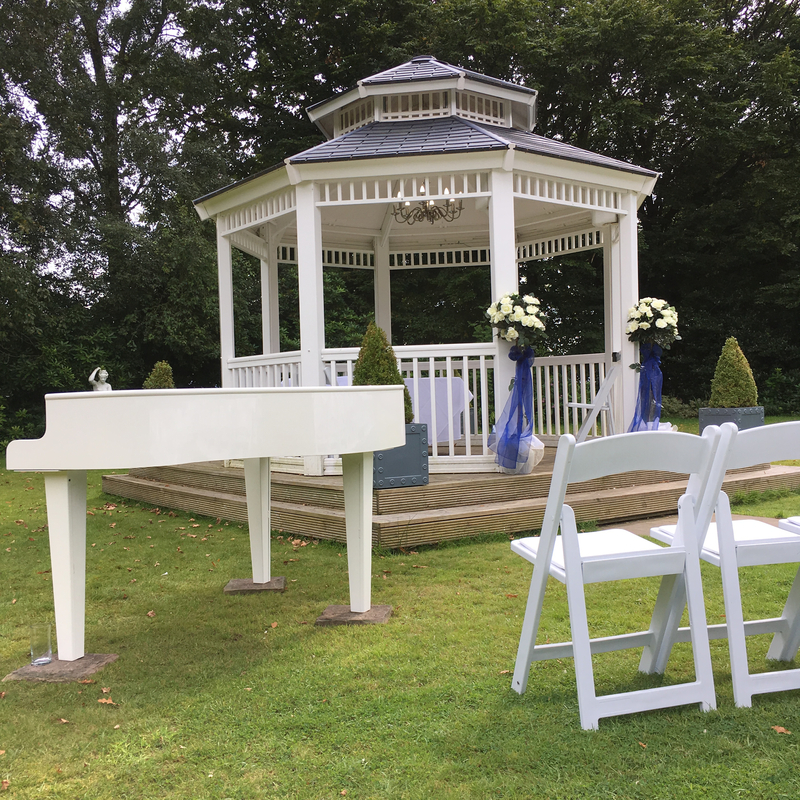 The venue has absolutely stunning gardens in which to host your drinks reception, or even get married thanks to outdoor ceremonies in the Dove Cote. 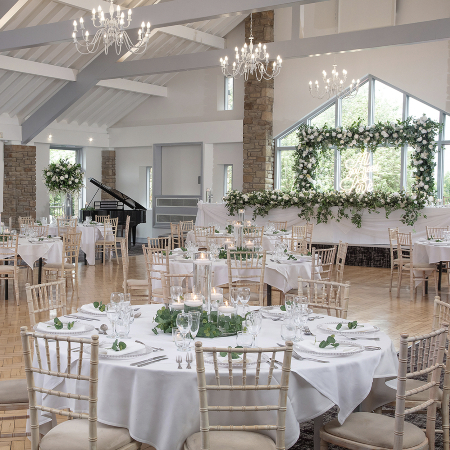 Inside, there is a sun room ideal for receptions when the weather isn't so kind, and a large function suite for wedding breakfasts and evening parties. 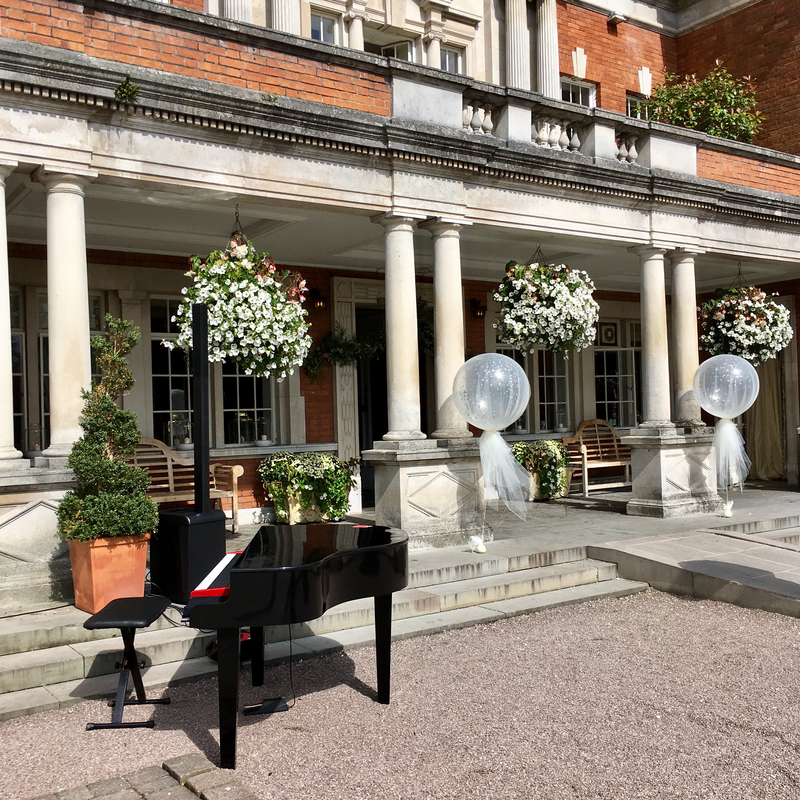 Craig is available to provide wedding piano at Ferrari's indoors or out, be it for your ceremony, wedding breakfast or arrival drinks. He is able to provide portable baby grand pianos in gloss black or white, or even one for each space! Craig's Ferrari's couples enjoy a £30 discount on normal Ribble Valley prices due to the shorter drive: prices start at just £230 including piano provision. 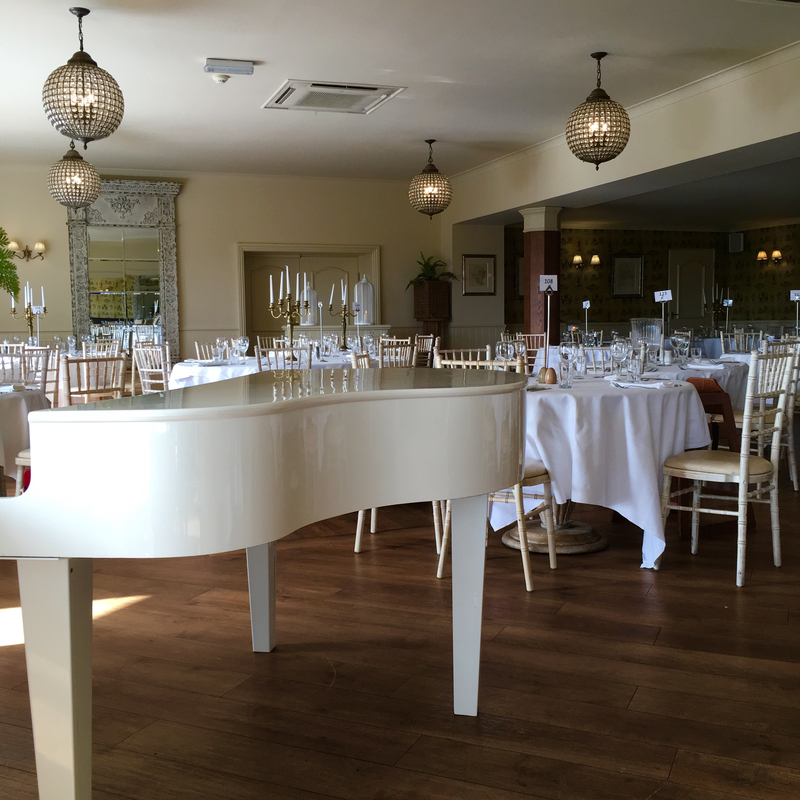 The Gibbon Bridge Hotel is a wedding venue with its own pianos, near Chipping. 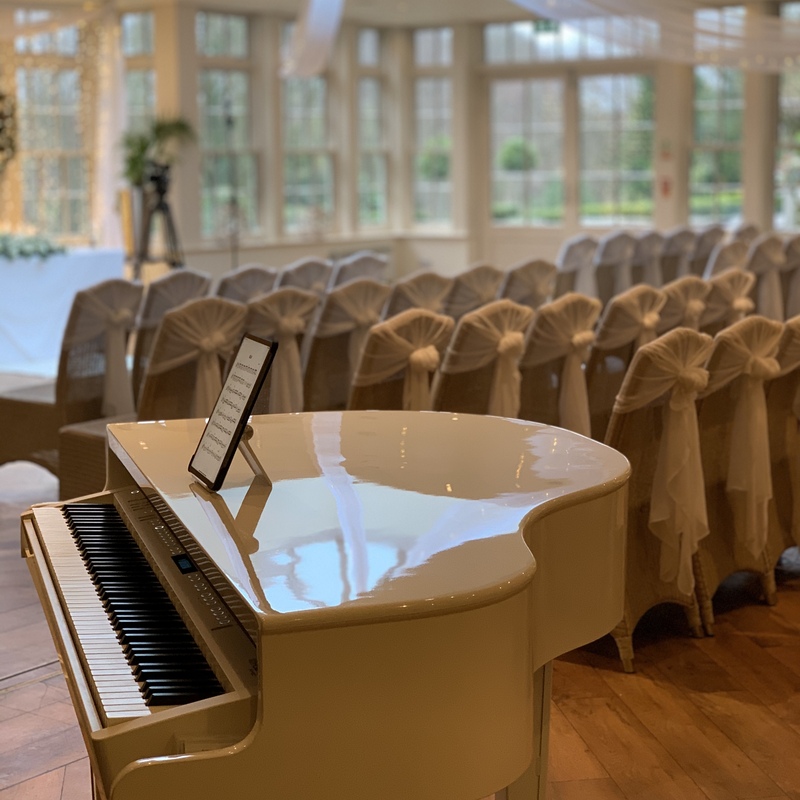 There is a striking white baby grand piano in The Orangery, where doors open onto the terrace with views of the gardens and The Garden Bandstand (another option for your ceremony, and Craig can provide a piano to play outside). 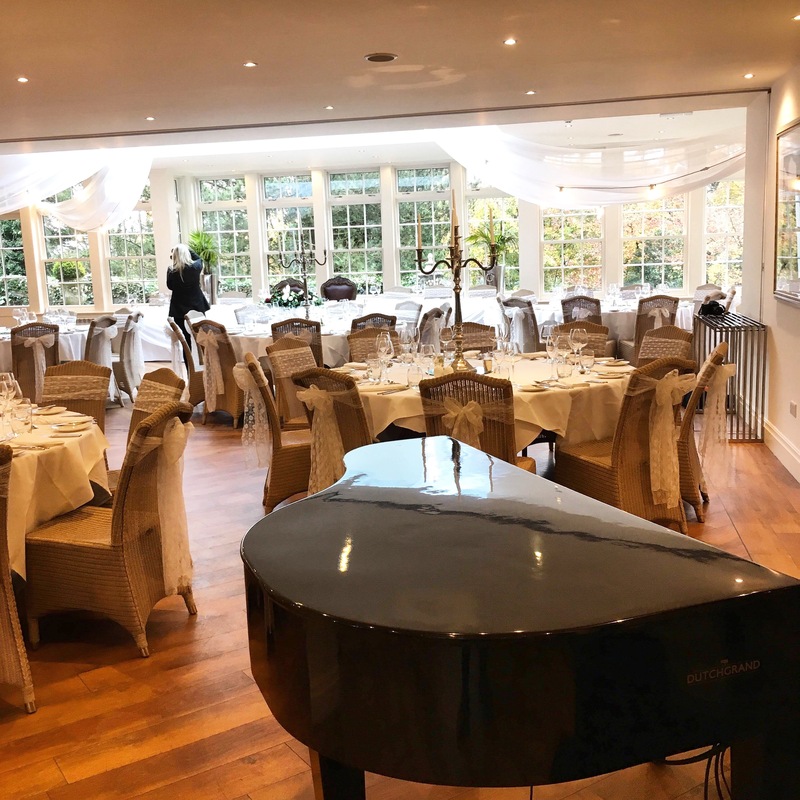 The Conservatory, usually used for wedding breakfasts, also features a baby grand piano, this one antique wood to match the gothic stone features surrounding it. 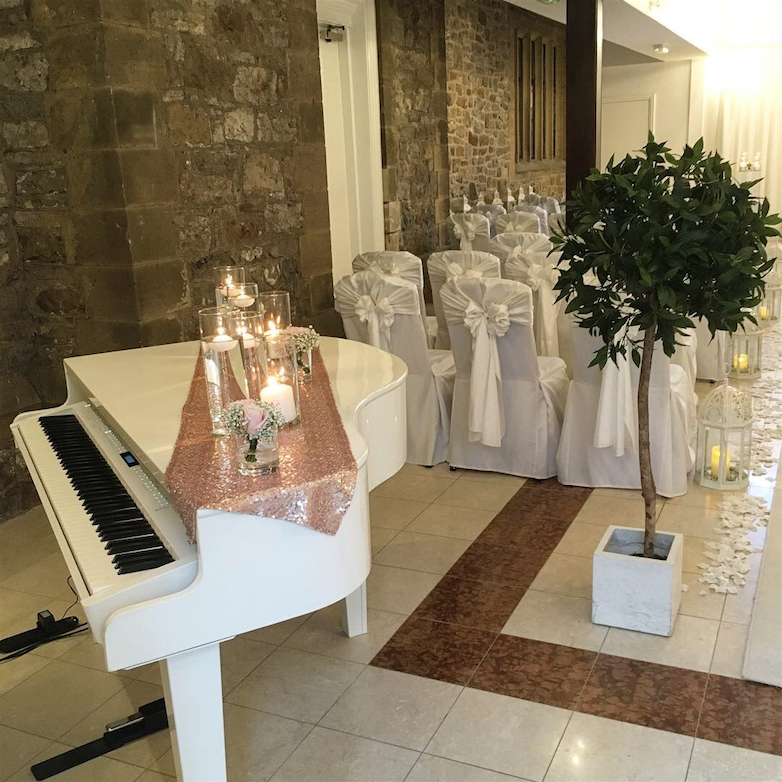 Craig is available to play piano at Gibbon Bridge weddings, for any part of the day, whether you want a pianist to play the venue's own pianos or to provide their own. All styles of music are covered. 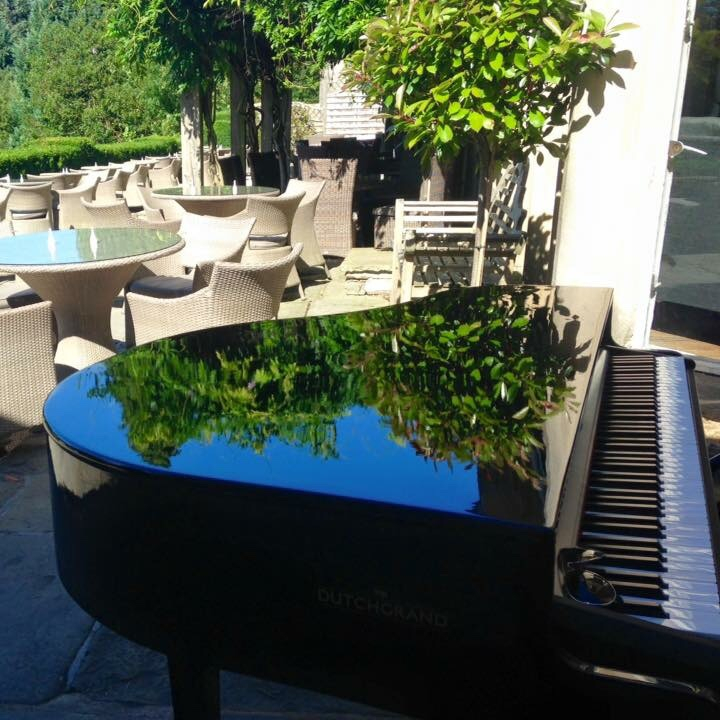 Whether it's an indoor wedding or one out on the lawns beneath the pagoda, Craig's piano sits perfectly in the surrounds of Higher Trapp Hotel. 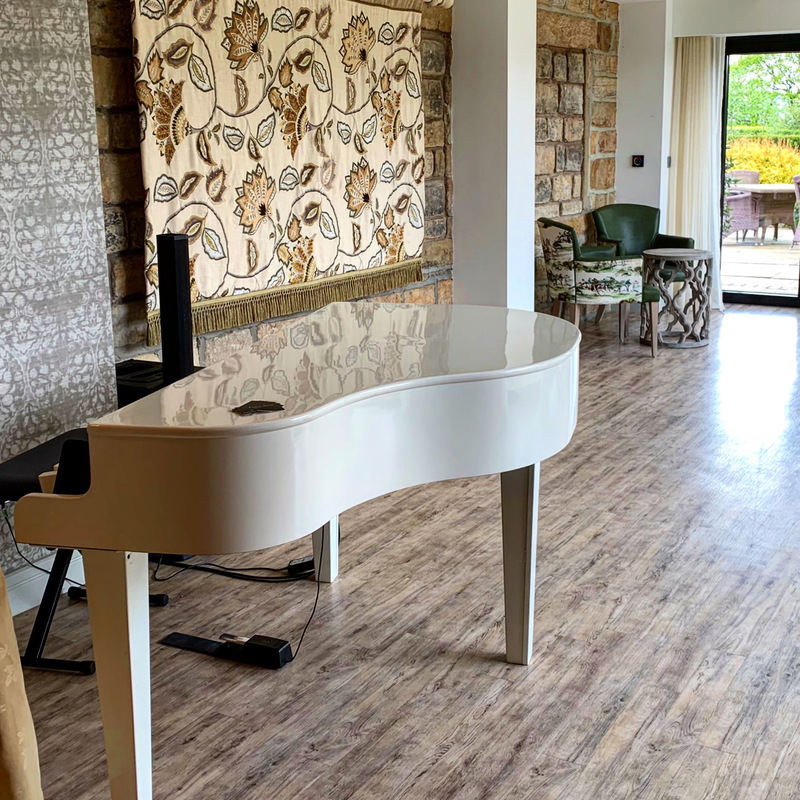 The white portable baby grand piano complements the pagoda perfectly, and his gloss black version fits in well within the more traditional parts of the hotel's interior. Craig is available with other musicians and singers, and has recently performed at Higher Trapp both solo, and with singer Kate Torevell of Acoustics by Kate. 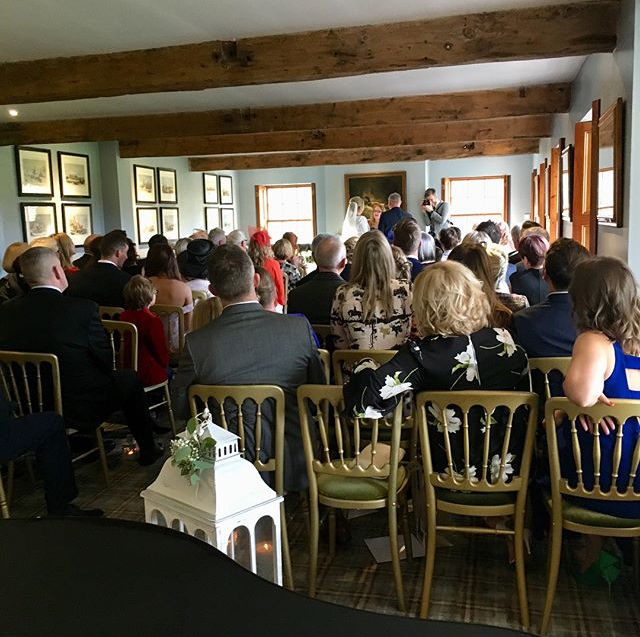 The Inn at Whitewell is a very popular country pub and hotel situated right on the River Hodder, with several spaces used for weddings including a lovely cozy ceremony room, a bar space with a large bay window overlooking the river and a marquee for wedding breakfasts. 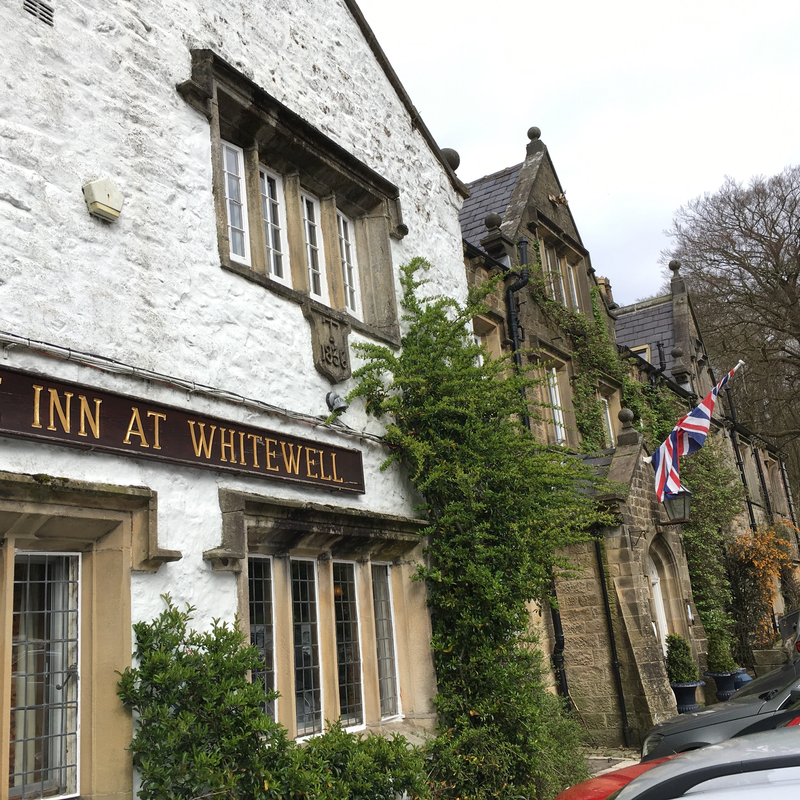 Craig is available to play piano for any or all parts of Inn at Whitewell weddings: in the bar, the piano is usually situated in the bay window immediately in front of you as you walk in, for ceremonies and wedding breakfasts, it can be placed wherever you would like it, as long as there is access to power. 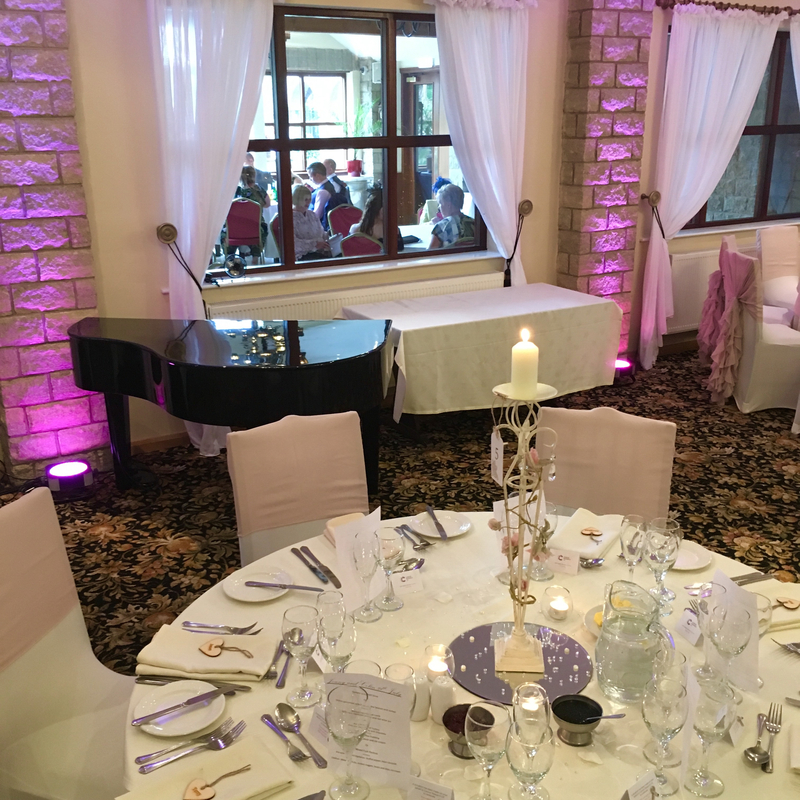 Mytton Fold, a golf course and hotel complex not far from Whalley, is another wedding reception venue with its own baby grand piano. 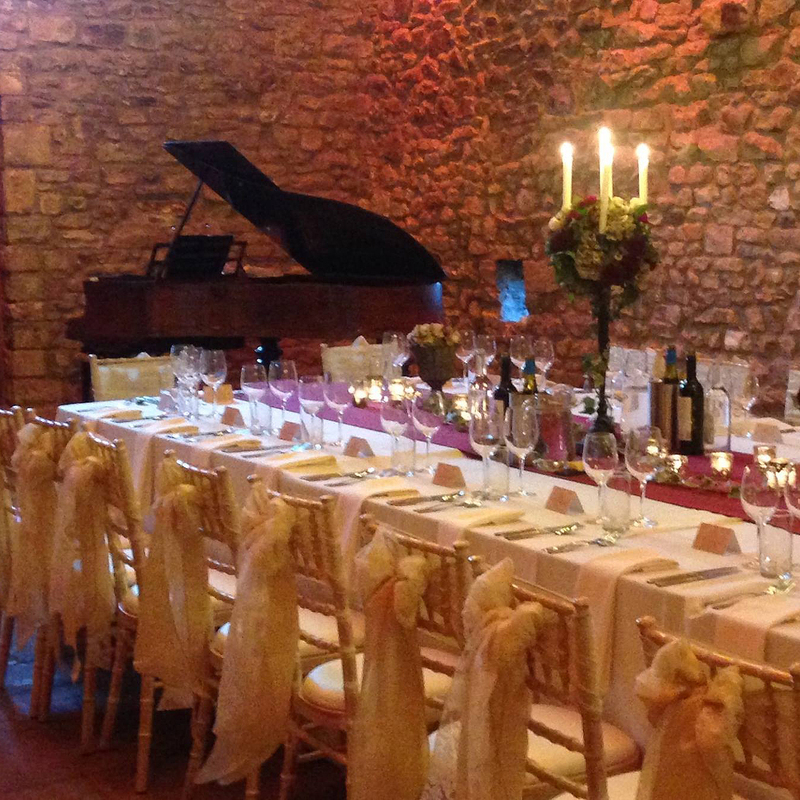 The piano is situated in the dining room, so Craig is almost always asked to play wedding breakfast entertainment. All styles are accommodated, whether it's modern pop, classic love songs, swing/jazz/rat pack, theatre, or anything else you fancy! Don't forget Craig is also available with singers, saxophonists and more. 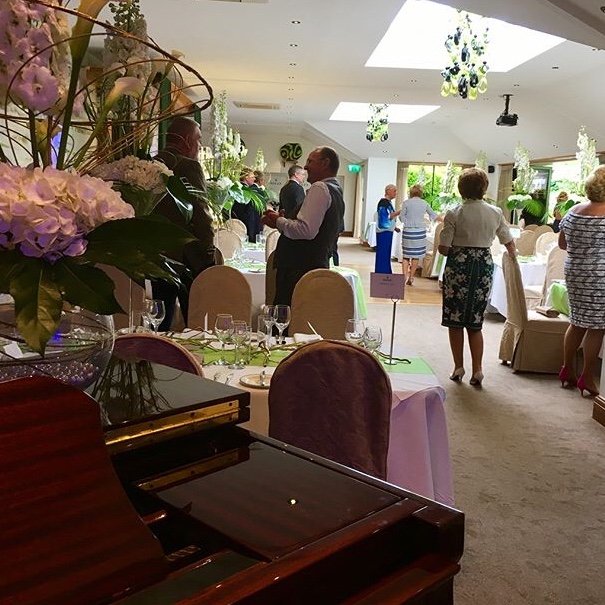 Craig would also be available for drinks reception and early evening reception piano entertainment too, and can provide a piano for the bar area if required also. Stanley House is one of the finest hotels in the area, with an absolutely amazing spa and a range of rooms and suites, modern and traditional to suit all tastes. 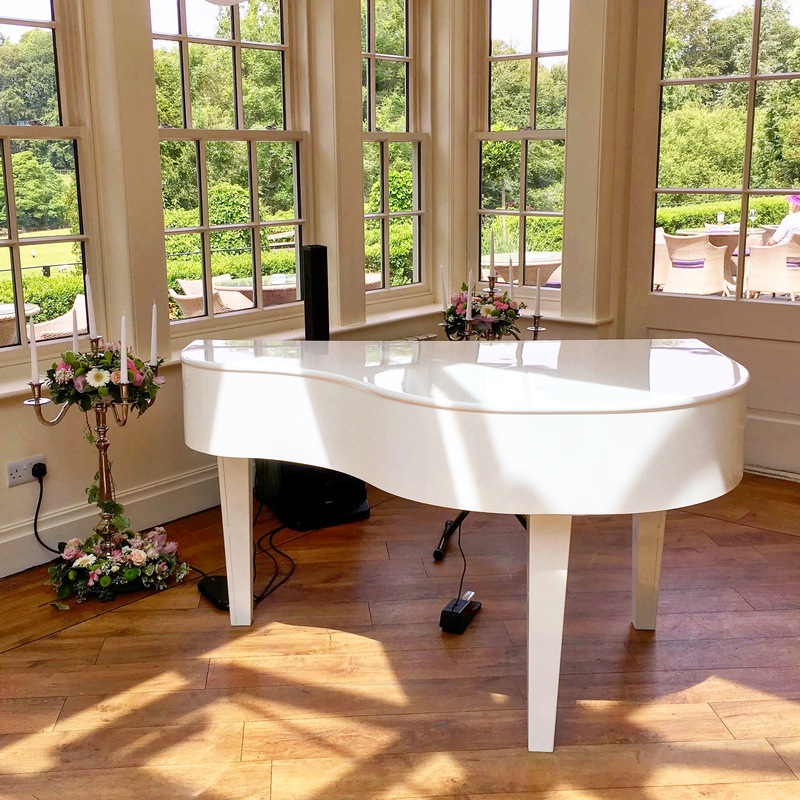 With a range of pianos available, Craig can perform both in the Stables suite at Stanley House for receptions and meals, and also outside on the patios the suite opens onto for drinks receptions. Of course, Craig is also available to play piano for your evening guests arriving too. Craig was booked by Stanley House to provide their restaurant's New Years Eve 2017 entertainment. 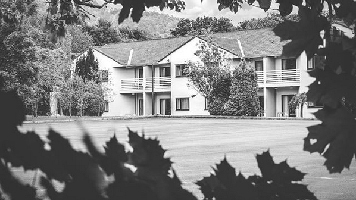 Stirk House is one of Craig's favourite venues to play anywhere in the North West, due to its scenic location, homely feel and fantastic staff. 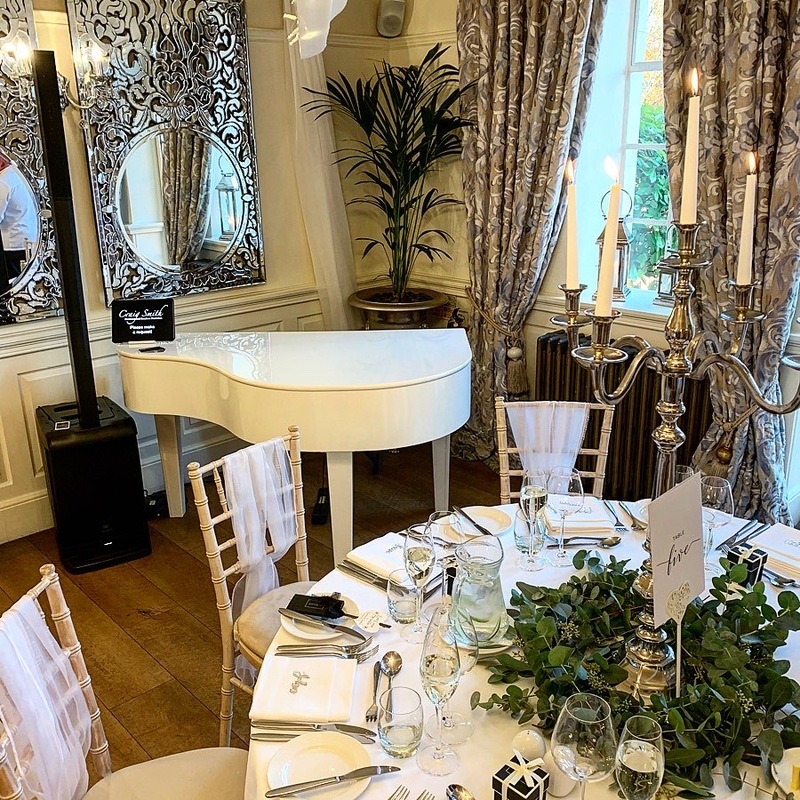 Craig can provide piano music for Stirk House ceremonies, drinks receptions and wedding breakfasts, with portable baby grand pianos in white and gloss black available, as well as a compact white electric piano for drinks receptions and the arrival of evening guests. Prices for Stirk House currently start at £260 for one part of the day, with whole days of music just £440.